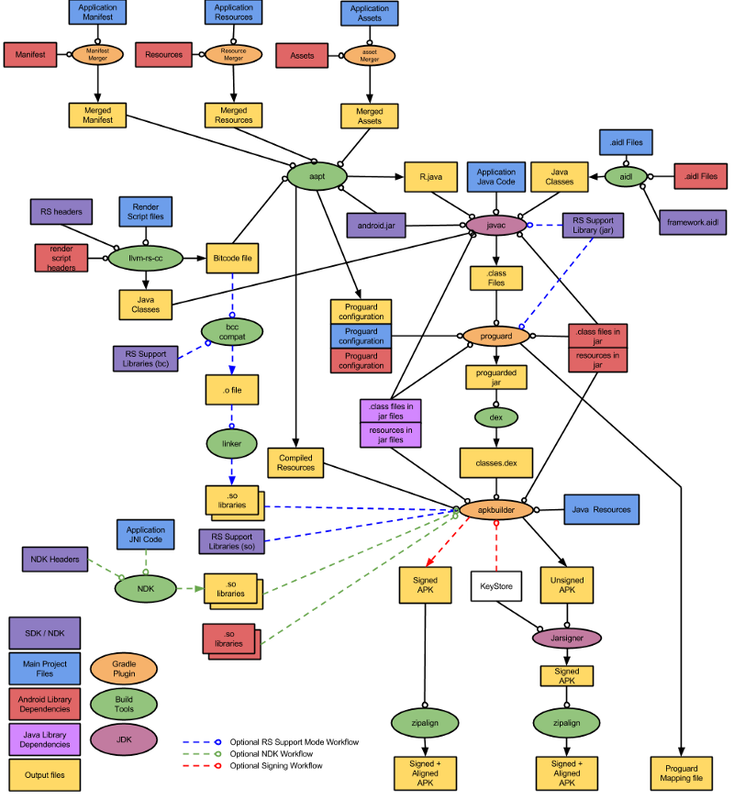 How Your Android Code Compiles To Deliver .APK Package File? Programmer plays a vital role in setting up computers with necessary tools and software’s before they start developing any project using the editor. How your code which you write compiles and becomes an executable file is what we seldom give a thought. Today we will together decode the entire process of writing a code and getting the finished APK. We import necessary libraries and configure necessary permissions and dependencies based on project requirement and start coding as per the wireframe of the product. 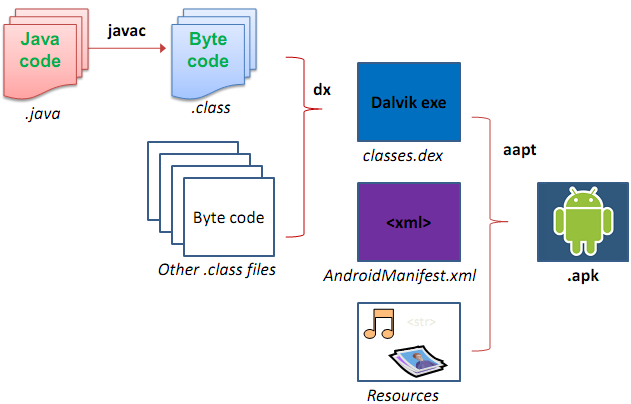 .class files is also known as Java byte-code this byte code further get converted to dalvik byte-codes which is the format which android OS understands here all .class files and any .jar library files compiles to single classes.dex using dx command. DEX is called as Dalvik executable files. DEX files is memory efficient and loads very swiftly compared to JVM based .class files and is lightweight too . Packaging is done using android apkbuilder tool (APPT). It generate a .apk file from a DEX file + non-Java libraries + zipped resources. The classes.dex file, resource files are compressed by aapt (Android Asset Packaging Tool). This .apk file is what you run on android device and is distributed to all the major app stores after being signed for release. User gets to download this files from Google Play Store and other app stores on their android powered device. The new app process generated by fork call loads the app code stored in classes.dex file, which comes packaged with the .apk file, it filters the classes.dex file from .apk and stores it into a separate directory. Android do not copy classes.dex files directly instead it converts Dalivik byte-code in classes.dex into native machine code which android OS hardware understand. All classes.dex gets converted into an ELF shared object, this library format is called as OAT and the tool that converts the classes.dex file is called dex2oat. 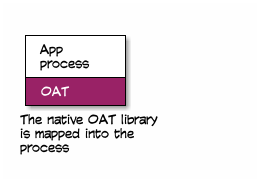 The native OAT library version is mapped into the process as shown below and from there the android app is launched running initial android activity. Mobility has been possible due to Mobile app ecosystem which works together to deliver a solution which has made end users life easy and fast going. Developer is just one part of the ecosystem there are other facilitator like open source community, phone manufacturers, network operators, internet community and agile governance which has lead to this digital revolution where mobile and it’s app has played the vital role to uplift humanity at large.